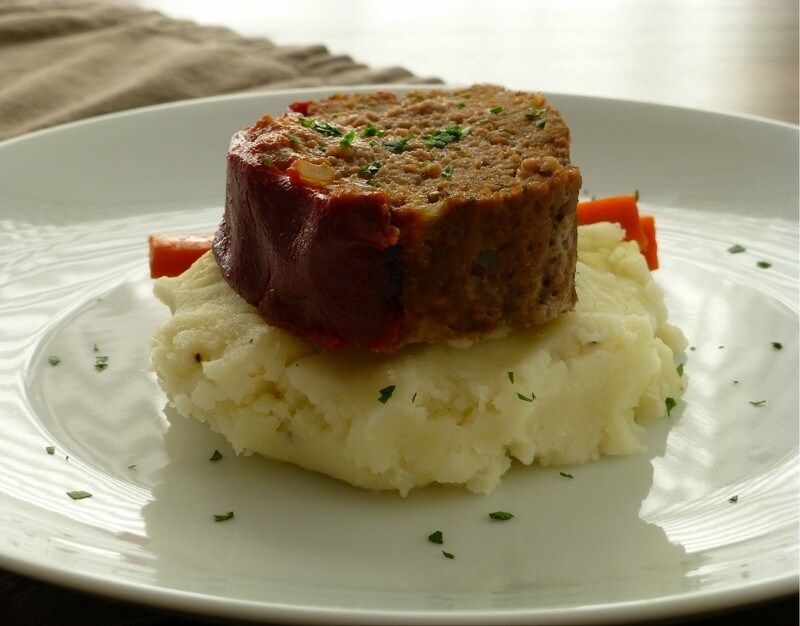 In elementary school, our mom would pack us meatloaf sandwiches for lunch. A cold slice of meatloaf smeared with ketchup in between two slices of Iron Kids bread. While everyone at the lunch table took out their crustless peanut butter and jellies, I’d pull out my meatloaf. I’d pretend to be embarrassed, but secretly I loved it. 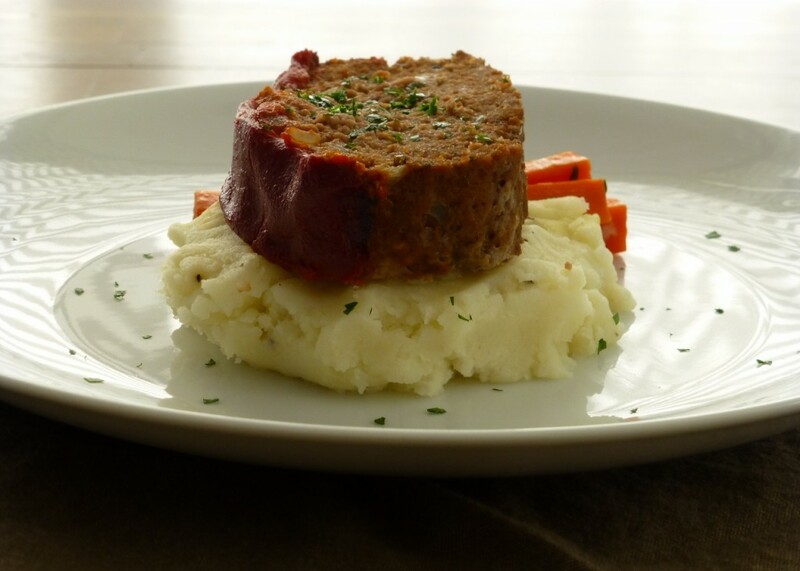 Cold meatloaf sandwiches are amazing. Another thing our mom packed us were these Polish sausage sticks. I think they’re called kabanosy. They kind of look like a fat Slim Jim, but they’re 10 times more delicious. We’d get them from Stanley’s, the Polish deli. Except there’s one problem with kabanosy. They smell. A lot. After school on our ride home, my sister said, “Hey mom, I don’t think you can pack us those Polish sausages anymore. Everyone in my class could smell it.” Two rooms over, the same thing had happened to her. 2. In a large bowl, combine all the ingredients (except the tomato paste). Mix until everything is combined thoroughly. 3. Form into a loaf and transfer to a bread pan. 4. 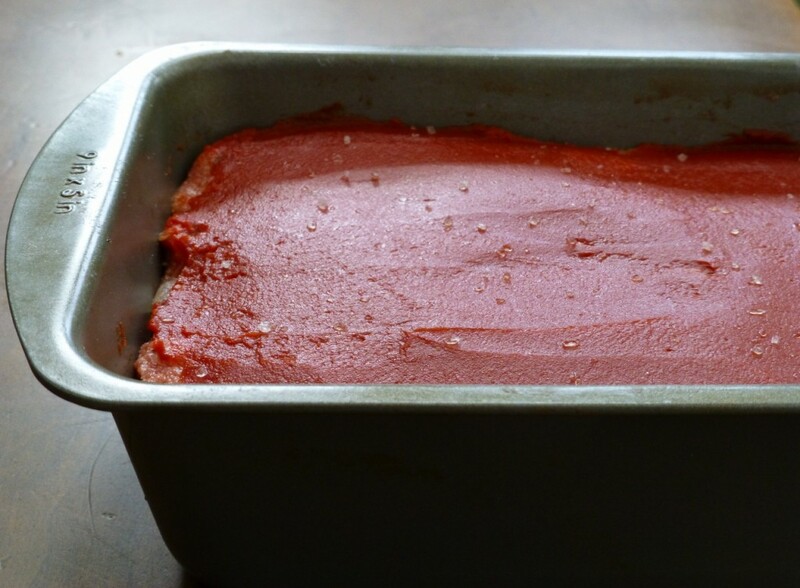 Using a rubber spatula or the back of a spoon, spread the tomato paste over the top and sprinkle with salt. 5. Bake 45-55 min. The meat will pull from the edges of the pan. You can drain off some of the fat before you slice into it. Just be careful the meatloaf doesn’t end up in the sink.